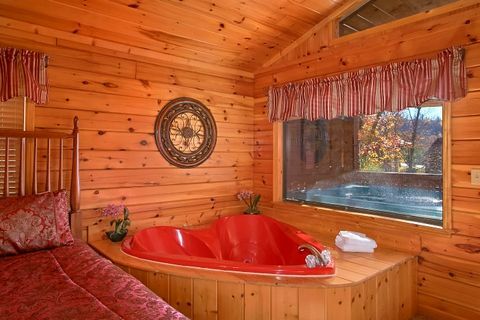 Honeymoon couples searching for a Dollywood cabin rental in Hidden Springs Resort will enjoy “A New Beginning.” This charming 1-bedroom cabin that sleeps up to four and offers a convenient location and picturesque views, making this the ideal combination of nature and the exciting Pigeon Forge adventure! 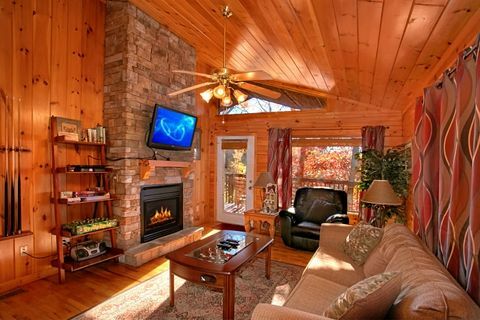 Hidden Springs Pigeon Forge is 1 mile from the parking lot entrance to both Dollywood and Dollywood Splash Country! 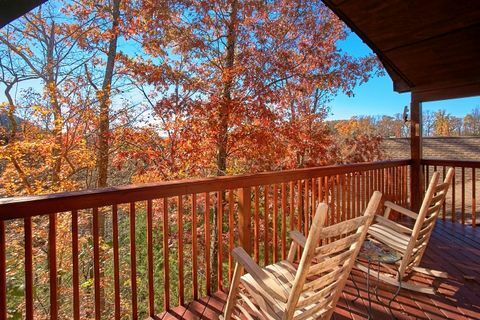 Additionally, "A New Beginning " is conveniently located close to attractions, shopping, and restaurants in Pigeon Forge and Gatlinburg as well as the scenic natural beauty of the Smoky Mountains National Park. 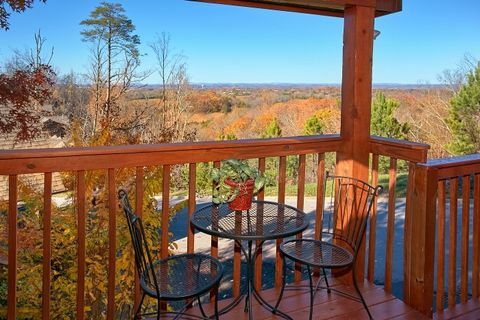 Hidden Springs resort offers great resort amenities as well. 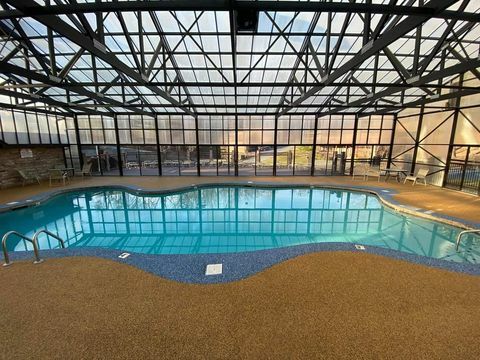 You can enjoy swimming anytime of the year with the indoor swimming pool that features a stunning glass dome that’s perfect for enjoying Smoky Mountain skies. 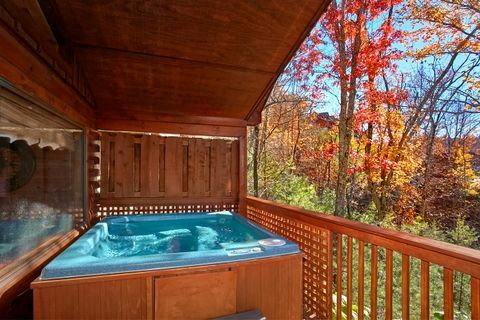 In the summer, you can have even more fun at the outdoor pool where you can work on your tan and enjoy mountain summer breezes. 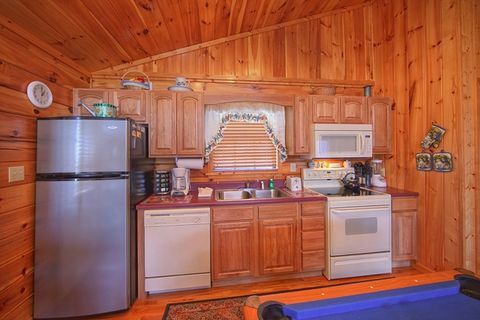 Inside your cabin, you’ll find all the comforts of home and more. 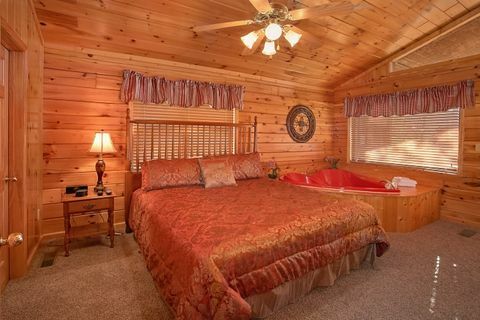 The master suite is the perfect setting for romance with a heart-shaped jacuzzi for two, king-size bed, and fireplace. Outside, you can enjoy summer evenings spent soaking in your cabin’s hot tub or summer days spent grilling on the charcoal grill. 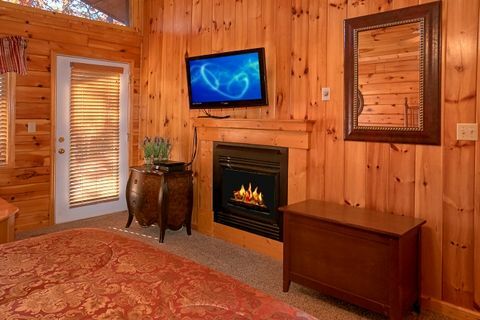 Back inside, you’ll enjoy winter nights spent cuddling in front of the fireplace in the living room for a cozy movie night in. Make a romantic dinner in your fully-equipped kitchen to enjoy in the dining area together. 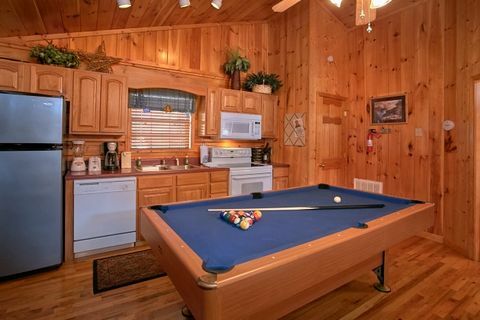 After dinner, enjoy some playful competition on your cabin’s pool table. 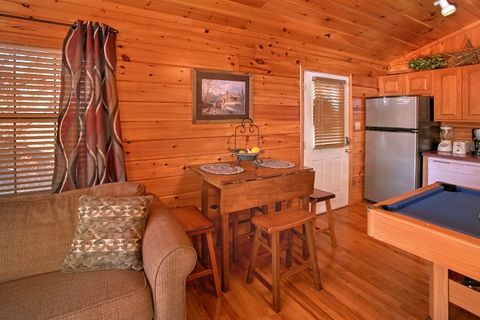 Your cabin also gives guests great everyday conveniences to make your cabin stay convenient and comfortable, such as WiFi internet and a washer and dryer. 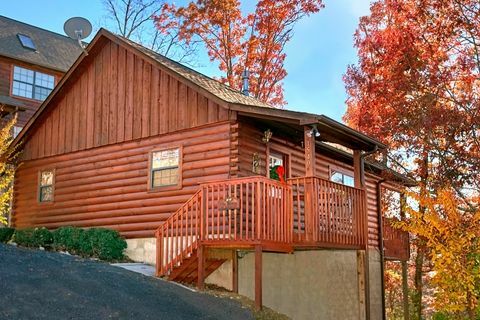 Book your Dollywood cabin rental, “A New Beginning,” online with Cabins USA and get and an immediate online booking discount.